The residential scheme, designed by Den Architecture comprises of 83 Student Beds and would replace the existing Fast Food Restaurant and Convenience Store. In light of this, 3 retail units are included within the ground floor. 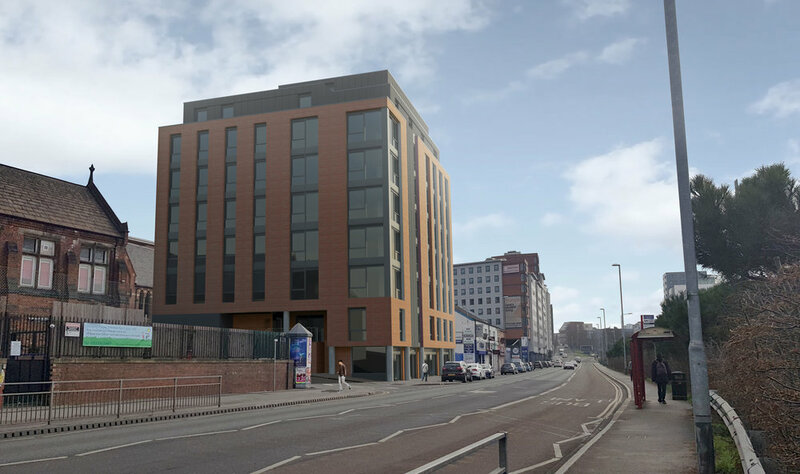 The proposed development makes the best use of this under-utilised site demonstrating a carefully considered approach in order to achieve a scheme that is befitting of the area, replacing the existing, poor quality building with a high-quality mixed use.